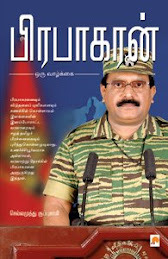 The biography of Prabhakaran, titled Prabhakaran: The Storyof his struggle for Eelam, is now available as a kindle book. It can be read with Kindle device. Otherwise it can also be read on your desktop or laptop by installing free ‘Kindle for PC’ application that can be downloaded from http://www.amazon.com/gp/kindle/pc/download. 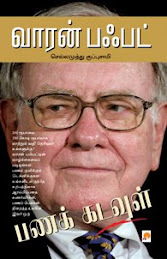 For detailed information about how to read kindle books in PC, please refer to this previouspost. Though the Sri Lankan Tamils began the struggle for their rights in Sinhala dominated Sri Lanka well before Prabhakaran was born, Prabhakaran’s life is inextricably linked with the struggle. This book provides an account of the life of LTTE chief Prabhakaran, who led an armed struggle against the Sri Lankan state to create Eelam, a separate nation for the Sri Lankan Tamils. The book on Prabhakaran’s biography begins from his childhood days in the aftermath of India’s and Sri Lanka’s independence from Britain. The Sri Lankan Tamils were following Gandhi’s non-violent methods to fight for their rights as citizens of Sri Lanka. Prabhakaran, an ardent fan of Bhagat Singh and Subhash Chandra Bose, felt that non-violence would not work against a Sinhala dominated government and began experimenting with violent acts against the Government to send a message. His initial success became the nucleus for the formation of LTTE, which became the quintessential guerrilla organization fighting the State. 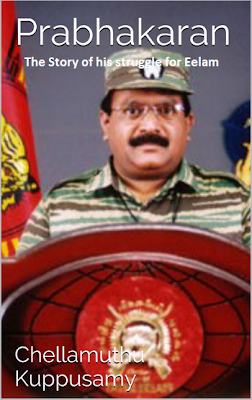 The book details various incidents of Prabhakaran’s life including terror attacks, assassination of politicians, heads of States and militant leaders; India’s role in the Sri Lankan ethnic conflict; Indian Peace Keeping Force in Sri Lanka; the Eelam wars, negotiations, betrayals and elections; through to his killing in May 2009.